No one likes to deal with rejection. When it comes to lesbian dating, women often find themselves reluctant to even approach a girl to ask her out. What if she says no? What if you read her signals wrong? So much can add to our stress and honestly you can forget all of it. Let’s take a look at stress-free tips on how to ask a girl out. What is you best pick-up line you have ever heard? I think you’re suffering from a lack of vitamin me. On a scale of 1 to 10. You’re a 9 and I’m the 1 you need. Do I like it when girls use pick up lines on me? I think it is OK. I try not to take them too serious. I think it is better if you just come up to me and say hi and introduce yourself. Are you usually the one that get’s asked out or do you do the asking? I am usually the one that gets asked out. How do you usually ask the girl out? If I am at a bar and I don’t know the person I usually hold back for a bit and watch her. Then once I get up the courage I just walk over and say hi and introduce myself. Even though I am really nervous on the inside I try to play it cool and show my confident side. If she turns be down no harm, at least I tried right? I usually go for lunch or a coffee. I like to keep the first date simple and then make more plans serious for a second date. If I could give other lesbians advice on asking a girl out what would you say? Just be yourself. Try to stay calm and keep your nerves down. When you get the courage up to ask her out just show your confident, flirty side. Smile and keep it simple. 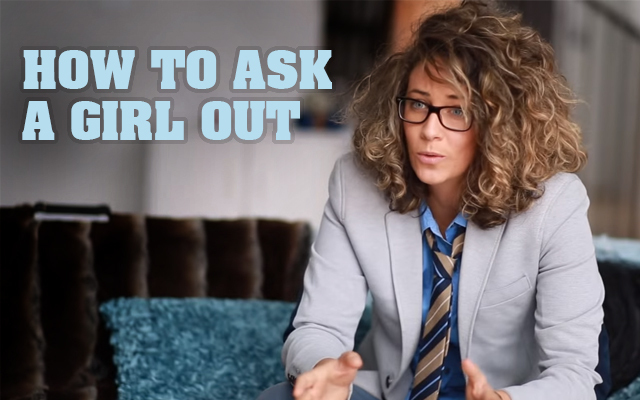 Check out How To Ask A Woman Out – Part One here. Check back to GirlfriendsMeet.com for more dating advice and don’t forget to follow us on Twitter @GFMDating and tell us how you like to ask women out. This entry was posted in Dating & Relationships, Lesbian Dating and tagged dating, first date by Janey Grace. Bookmark the permalink. Blogger | Loves Life | A Caffeine dependent life-form | Dog Lover | Playing Sports | Working Out | Lululemons | Snapbacks | SUP Paddle Boarding | Rock Climbing | Rocking out with my friends! What Does a Trump Presidency Mean for Us?